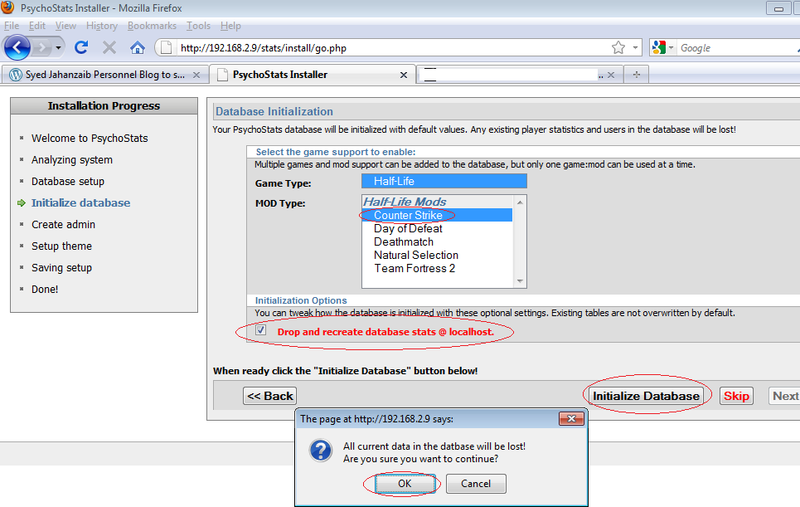 Howto Create Counter Strike 1.6 Dedicated Server For LAN [with PSYCHOSTATS Ranking +MRTG System] | Syed Jahanzaib Personal Blog to Share Knowledge ! Counter-Strike is a first-person shooter GAME in which players join either the terrorist or counter-terrorist team (or become a spectator). Each team attempts to complete their mission objective and/or eliminate the opposing team. I created its first server back in 2006/2007 for my Ex-Cyber Cafe/Cable.Network system. Till date C.S is the most popular and famous networking Action Game for all ages. I am writing this guide so anyone can create this server with very minimum knowledge required. This way you can always Start the server with this shortcut, or you can place it in your windows startup so it will automatically run when windows starts. Now a Very basic counter strike dedicated server is ready to use. User can connect to this server and play game with each other. For this purpose we have to add some MODs. After downloading, extract it in any folder. It will then install ADMIN MOD. and many other cool things you can do with this like map voting etc etc. Always RESTART the C.S after adding any addon to it, so changes can take effect properly. Now we will add another ADDON name AMXMOD. Installing AMX MOD X for counter strike is quite easy, Just follow these easy steps to install it. The version of AMX MOD X which I am using in this guide is V1.8.1. Install AMX MOD X like you do install any other app. Upon finish put check mark on “RUN AMX MOD X INSTALLER 1.8.1” and click on Finish. It will then install the AMXMOD-X. Now if you start the CS server, you will notice AMX MOD X tags in various lines. Congrats You have install AMX Mod too 🙂 You can edit it according to your requirments. 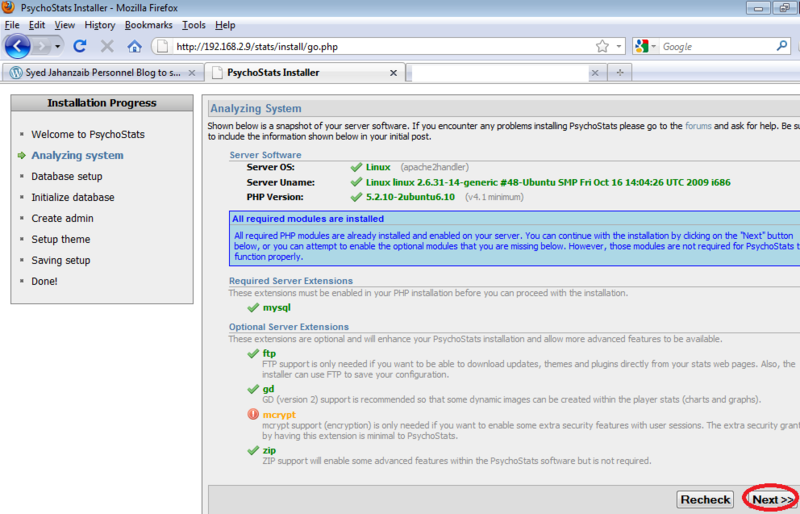 PsychoStats version 3.1 is very easy and quick to install on any system. It includes an online installation wizard that you run through your browser. Follow these simple steps and you’ll be up and running in few minutes. If you have fresh Linux, install PHP , Mysql and other using this article. Login as root to your linux machine. 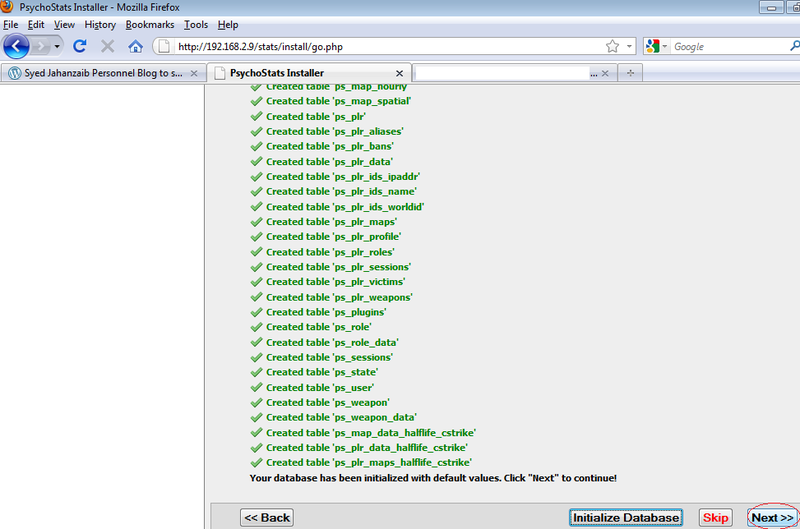 Now its time to create MySQL Databas before start the installation. Exectue the msyql program and create the following database. Now follow the below images to go complete the installation. Now Edit the /var/www/stats/config.cfg with the proper database settings that you have create above , so PsychoStats can connect to your database. 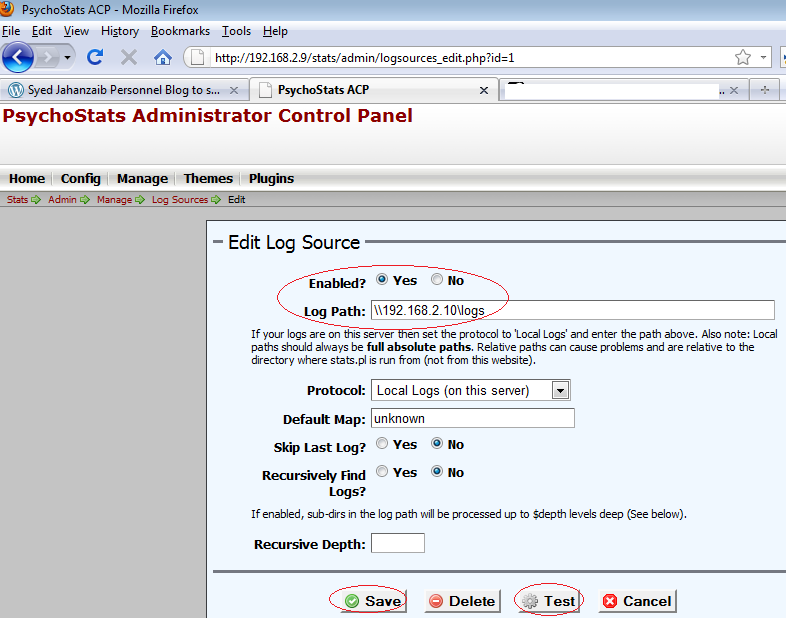 Now point your browser to http://192.168.2.9/stats and you will see Psychostats main screen. At this point you have run the ‘Install Wizard‘ from your browser and the database is fully setup and you can view your empty player stats online. Now it’s time to finally generate some stats! Now execute the main stats.pl to generate your statistics. Now that you’ve run the stats.pl at least once and have confirmed that you are getting statistics on your website you’ll most likely want to setup PsychoStats to run automatically. PsychoStats does not have built in functionality to run itself. So in order to do this you need to add it in Linux CRON. you can download it from http://kkrcon.sourceforge.net/after untar it , Now set the rcon password on your cs server by using this command on CS Server console. Congratulations, You’re all done. You should have a fully functional Counter Strike 1.6 Dedicated Server for LAN with PsychoStats User Ranking System with MRTG installation and all will automatically update themselves. Sir, is there any way that only pay mikrotik pppoe users can play counter strike ? ? ? 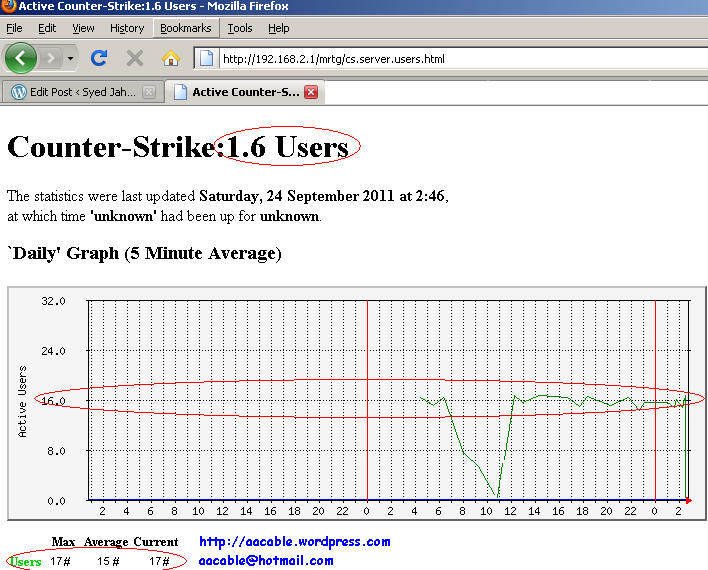 Place Counter Strike server in Mikrotik DMZ. Example. This way only pppoe connected users will be able to connect to it. You’re in point of fact a just right webmaster. The site loading pace is amazing. It sort of feels that you’re doing any distinctive trick. Also, The contents are masterwork. you’ve done a magnificent process in this matter! Excellent post with excellent information. 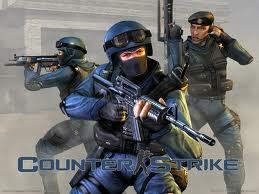 I really like Counter Strike. Hi! Can you please help me with the mysql part. I am ready to pay you a couple of bucks for it. how i get rid this error?